Chinese President Xi Jinping Thursday called on Sri Lanka to protect the legitimate interests of Chinese companies, expressing willingness to deepen cooperation in trade and infrastructure. Xi made the remarks during talks with Sri Lanka's new President Maithripala Sirisena, who is paying a state visit to China and to attend the 2015 Boao Forum for Asia. "China's cooperation with Sri Lanka is based on mutual benefit and a win-win situation, without any political preconditions," Xi said, adding that China wishes to help Sri Lanka sustain its development. Sirisena said the current situation with a China-funded port in Colombo is temporary and the problems do not lie with China. 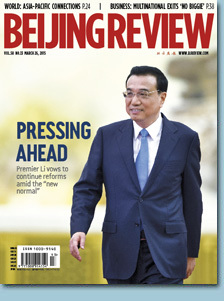 He said his country welcomes more investment from China, promising a healthy investment climate. The $1.4 billion port city was part of a deal reached between China and Sri Lanka under the former Sri Lankan Government. The new government, which took office in January, decided to re-examine it. Xi and Sirisena pledged to continue the longstanding friendship between the two countries. Xi stressed the friendship should be "carefully inherited, protected and developed" while Sirisena said the new government will take more robust measures to continue friendly cooperation with China. Calling on both sides to conclude negotiations on a Free Trade Agreement at an early date, Xi said China is willing to encourage Chinese businesses to invest in Sri Lanka and help develop its manufacturing industry. Xi said both sides should work to expand cooperation in health, agriculture, science, tourism and human resources as well as exchanges in military and regional and international affairs. He hoped Sri Lanka support China's efforts to enhance cooperation with South Asian Association for Regional Cooperation. Sri Lanka eyes more cooperation with China in trade, education, science and defense, Sirisena said, thanking China's support for Hambantota port and promising his country will work with China to implement all the big projects agreements reached. 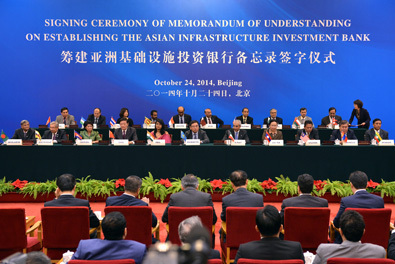 The 21st Century maritime silk road also emerge during their talks. Xi called on both sides to make full use of the $40 billion Silk Road fund and the Asian Infrastructure Investment Bank to steadily push forward big projects and industrial cooperation. Calling the ancient Silk Road a shared historical legacy, Sirisena said Sri Lanka is willing to work with China within the framework of the 21st Century maritime silk road. Xi said China and Sri lanka should continue bilateral friendly cooperation and be trust-worthy and reliable friends. He said China respects Sri Lankan people's choice of development path in accordance with their national conditions and their efforts to safeguard independence, sovereignty, stability and development. Both countries should understand and support each other on territory and sovereignty related issues, Xi said, adding that China is willing to enhance exchanges with Sri Lanka in state governance and hopes Sri Lanka can achieve more in national development. Sirisena thanked China's firm backing for his country in the United Nations Human Rights Council and other international bodies. The UN Human Rights Council postponed the release of a report on alleged war crimes in Sri Lanka from March until September after the new government requested more time to do its own probe into the violations. After the talks, the two presidents witnessed the signing of documents on infrastructure, health and other sectors. - Will the 'China Miracle' Continue?